Extensive preview and interview with lead writer and designer at Ensemble Studios, Graeme Devine. "That's one of the things we get to tell a little bit more in our story, the story of the Covenant - their complete and utter lack of imagination in how they do things, they have a very different structure to their society than humans. We got to explore that a little bit more and it's actually a very exciting side of the Covenant. And what motivates those bad guys is really insane. To be able to write from that perspective is very cool, I think it's a very colourful world." 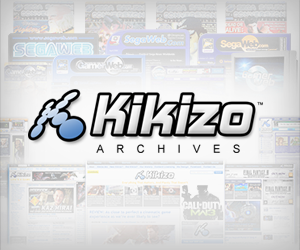 The fine-toothed combs of obsessive fans aside, one potential major stumbling block could be the raw attrition that underlies real-time strategy convention. Surely, we point out to Devine, the business of bulk-producing units and watching them splat themselves against enemy defences somewhat cuts against the Halo vibe: isn't the whole point of Master Chief that he endures despite the odds, fighting his way onward by a combination of luck and skill, that he overturns the monotonous logic of numbers? 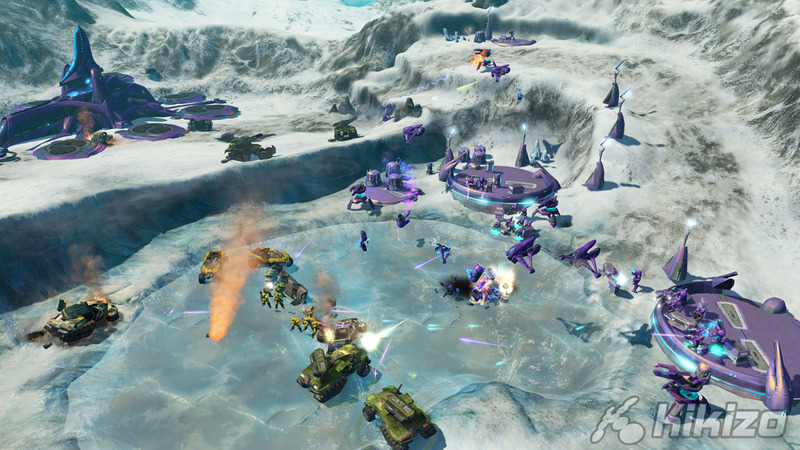 Devine reassures us that Halo Wars is more emotionally involving than the RTS norm. 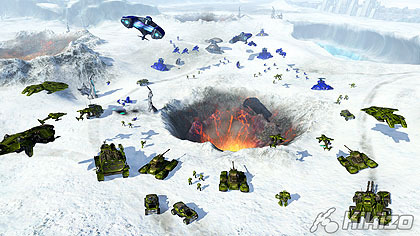 "I hate RTS games that are like that, because I feel like I'm just building my base and I'm building that thin red line that goes towards the front line, and it's just, you know, a meat shield that's slowly hopefully advancing towards the enemy, or is coming the other way." Ensemble wants you to treat your squaddies as long-term investments: while they persist between missions as in the Total War series, units do accrue experience within missions and can eventually be upgraded by way of a relevant structure at your base. "We want you managing that combat," Devine goes on. "We want you feeling like you're on the frontline, and we especially want you to care about the combat. We don't want you just thinking up an expendable army. That's the reason we added secondary abilities into the game and the reason we gave [veteran status] to the actual units, so as units get better they get [veteran status], I start caring about them more, I'm going to recall them and heal them. But yeah, I think some RTS games where you're building this expendable army... those games, they're still pretty fun but I don't think any designer wants that kind of back and forth with any game." Those secondary abilities, of which almost every unit has a unique set, furnish Halo Wars with both another tactical layer and further touchstones for series diehards. "When we first started to play the game we were watching Halo players play the game from behind glass," Devine explains. "Which is always a fun time because you can't talk to them. Talking to them afterwards, one of the things they said was "I wish I could throw grenades - what we did was shoot guns, walk up and be like a classic RTS game," and so out of that fell the secondary abilities of all units - the ability of infantry to throw grenades, the ability for Warthogs to ram other things, the ability of Spartans to jack other vehicles. All of that is very Halo-like. So that ability came from just being Halo." Less Halo-like in nature is base and resource management, which is geared along mildly prescriptive Age-of-Mythology-esque lines. Rather than plonking down buildings at whim you're given a number of slots on a preset template, dunked into the field from orbit at the start of each mission. This template can be upgraded several times to unlock more estate and raise the unit cap, but you'll still need to be selective in your choice of structures. Do you opt for a second supply pad to double the flow of credits from the Spirit of Fire, or would you rather bodge together a new barracks building in its place? 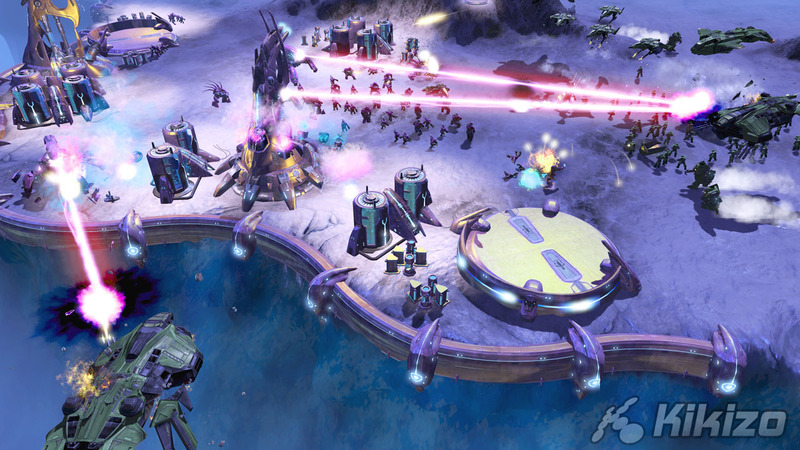 Of course, no RTS would be complete without some kind of colossal megadeath option to put down rough-and-tumble opposition, and Halo Wars steps up to the plate with Leadership powers. We saw three in our time with the preview build. The MAC and Cleansing beams are UNSC and Covenant variations on the Death Star's favourite party trick, pummelling the earth from above with gallon upon gallon of white-hot energy, while the imaginatively titled "Heal and Repair" smears a regenerative aura across a large area.